This exhibition is the first to focus on Wendell Castle’s creative process and the evidence of how he conceptualizes and creates. 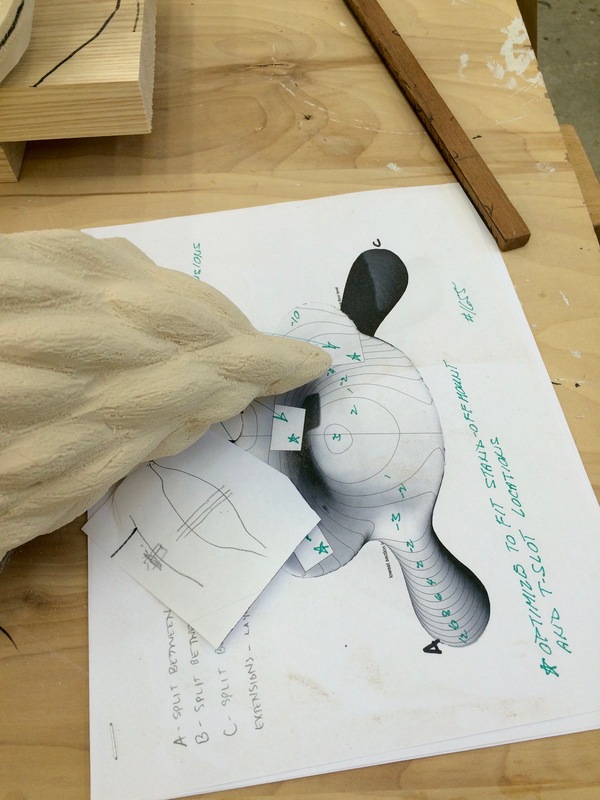 Work includes drawings, maquettes, and select sculptural and dimensional work. Castle conceives and identifies shape and form through a discipline of drawing several hours each day. 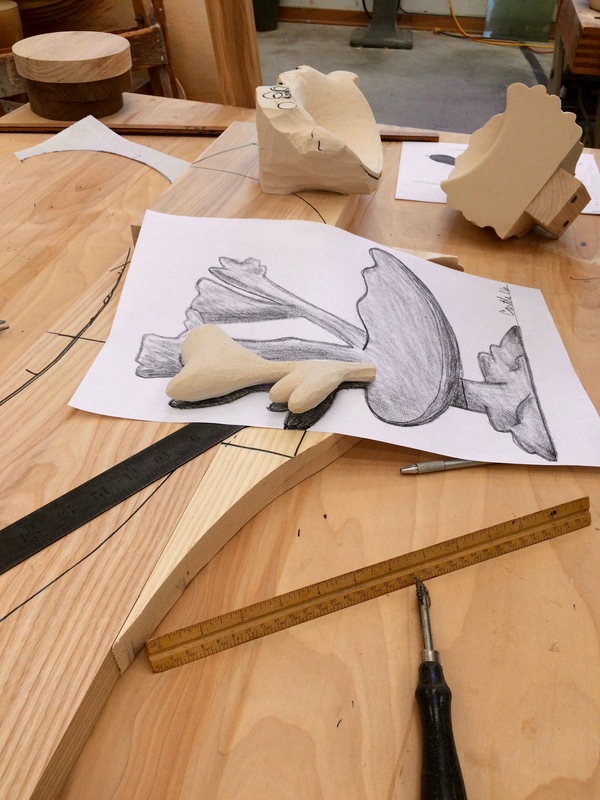 The drawings begin as free sketches that capture a concept and form as the initial step in designing sculptural furniture. Certain drawings are chosen for further exploration and worked into a design series. Using translucent paper through which the former drawing is viewed, Castle re-works the form until he is satisfied that it is a roadmap for the journey from paper to dimensional form. 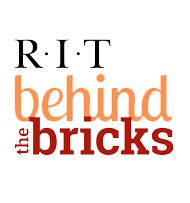 Castle’s connection with Rochester, NY and Rochester Institute of Technology runs deep. Harold Brennan, the Director of School for American Craftsmen recruited Castle in 1962 to join the faculty at RIT to teach woodworking and furniture design. SAC was the fertile ground where his creative roots took hold. Castle maintained his own studio on Troup St in downtown Rochester within walking distance of the RIT campus during the 1960’s. By 1965, Wendell Castle was at the forefront of the Craft Furniture Movement. He was a stand out among a group of artists who sought to make furniture by a skilled hand and highlight individual design and beauty to propel it into a new category: art. 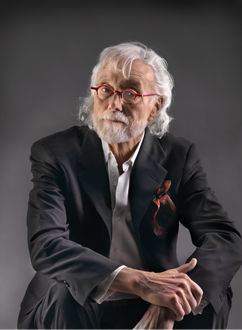 Today, Castle is recognized as the ‘Father of the Art Furniture Movement’. His designs are organic, bold, and at times whimsical. Crafted from hardwoods, plastics, concrete and metals, Castle utilizes multiple disciplines that include stack lamination, hand carving techniques, casting forms in bronze, and programming a six-axis CNC milling robot to carve. Castle moved to Scottsville, NY in the 70’s where he continues to maintain an active design and production studio. 2015 - Leadership Medal, Renwick Gallery of THE SMITHSONIAN, Washington, D.C.
2014 - Visionary Award, THE SMITHSONIAN, Washington, D.C.
2013 - The Eastman Medal, THE UNIVERSITY OF ROCHESTER, Rochester, NY. 2013 - Honorary Degree, Doctor of Fine Arts, THE UNIVERSITY OF KANSAS, Lawrence, KS. 2012 - Lifetime Achievement Award. ARTS & CULTURAL COUNCIL, Rochester, NY. 2007 - Lifetime Achievement Award. BROOKLYN MUSEUM/MODERNISM AWARD for Excellence in Design. 2003 - Outstanding Achievement Award. THE NATIONAL ASSOCIATION OF SCHOOLS OF ART AND DESIGN, Los Angeles, CA. 2001 - Award of Distinction, THE FURNITURE SOCIETY. NELSON FINE ARTS CENTER, Arizona University, Tempe. Castle’s work has been exhibited around the globe including London, Paris, Seoul, Miami, and New York City. His work is in national and international private and public collections, and can be found in the permanent collections of more than 50 museums and cultural institutions worldwide, including: Art Institute of Chicago, (IL); Los Angeles County Museum of Art, (CA); the Metropolitan Museum of Art (New York, NY); Museum of Modern Art (New York, NY); Minneapolis Institute of Arts, (MN); Musée des beaux-arts de Montréal (Quebec, Canada); Museum of Arts and Design (New York, NY); Museum of Fine Arts, Boston, (MA); Museum of Fine Arts, Houston (TX); Nelson Atkins Museum of Art, (KS); Philadelphia Museum of Art (PA); Renwick Gallery, Smithsonian Institution, (Washington, DC); the Victoria & Albert Museum (London).